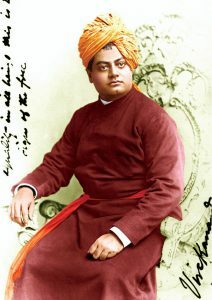 Over a century ago, Swami Vivekananda, the prophet of modern India and apostle of Vedanta in the West, strongly emphasized the importance of broadening the scope of education from being merely a book-learning and information-collecting exercise to becoming a man-making and character-building assimilation of life-giving ideas. Further, for an effective system of education, he suggested combining the best elements of ancient spiritual traditions of the East with modern scientific traditions of the West. During his short but intensely active life, Swami Vivekananda (Swamiji) also sowed the seeds for future development along this front, by nurturing a culture of education in the newly-established Ramakrishna Math, facilitating and directly establishing educational initiatives as well as inspiring others to do so, most notably Jamshedji Tata, who went on to establish the Indian Institute of Science in Bangalore. 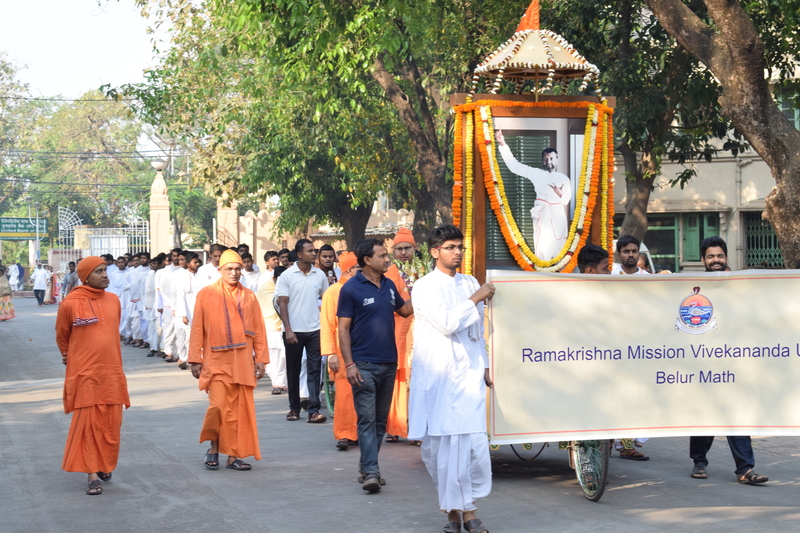 The Ramakrishna Mission Vivekananda Educational and Research Institute (RKMVERI) is a humble initiative started by the Ramakrishna Math and Ramakrishna Mission, the worldwide spiritual humanitarian organization established by Swamiji, towards implementing this vision of education more comprehensively. RKMVERI is a university with a difference, being neither a regularly government-funded grant-in-aid institution, nor a self-financing or private university with a focus on financial viability of programmes. It offers programmes in mathematical sciences as well as in subjects related to Indian heritage, thus providing an environment conducive for the growth of well-rounded personalities harmonizing diverse but complementary ideals. Notably, the university places special emphasis on areas of study and research (which we term as “thrust areas“) that are of immense importance and social relevance but are nevertheless under-represented in the Indian educational framework, such as fundamental sciences, rural and tribal development, disability management, disaster management, etc. Further, the permanent faculty are paid salary at UGC scales whereas students are charged modest tuition fees which do not add up to any substantial fraction of the educational expenses. The tremendous challenge of running such a university with limited governmental support of only a few one-time grants is addressed by attracting contributions from philanthropically minded well-wisher donors, admirers and devotees of Ramakrishna-Vivekananda. The growth of the university from its inception to its present stature is testament to the solid foundation laid by its ideals of truth, selfless service and purity of motive bequeathed by Swami Vivekananda. Established in 2005, RKMVERI is an institution deemed-to-be university as declared by the Ministry of Human Resource Development, Govt. of India, under Section 3 of University Grants Commission (UGC) Act, 1956. At present, it operates through four campuses situated at the following locations: Belur Math near Kolkata (main campus and headquarters), Coimbatore, Narendrapur (Kolkata) and Ranchi. The multi-campus university houses many departments organized under 5 schools, covering a diverse range of subjects such as Sanskrit studies, physics, mathematics, computer science, yoga, rural and tribal development, agriculture, disability management, disaster management, etc. and conducting programmes at various levels ranging from undergraduate/diploma to doctoral. The university also expends special effort in meaningfully engaging with the general public by conducting certificate courses and other specially designed classes, such as classes on Indian spiritual heritage (conducted by monastic faculty members), spoken Sanskrit, Indian classical music, etc. Apart from the above mentioned educational activities, the university also actively engages in various outreach programmes intended to make a contribution to the society at large. It runs an information and communication technology based network known as Vivekdisha that performs a wide range of activities such as providing online education from secondary to undergraduate level, conducting research programs, running a portal for taking online examinations, conducting online teachers’ training and workshops, etc. The university also operates a Krishi Vigyan Kendra, an initiative of ICAR, Govt. of India for technology transfer in the fields of agriculture, horticulture, animal husbandry, aquaculture etc. RKMVERI also functioned as a nodal institute for District Yoga Wellness Centre scheme for a period from 2010 to 2013. For India to attain excellence in the fields of arts and sciences and various other fields of knowledge, the whole society and especially the youth must be given the opportunity to become fully cognizant of the glorious past heritage of the country and at the same time be trained in modern scientific ways of thinking. While instilling the students with pride in the past achievements of their forefathers and firing them with the zeal to strive for rejuvenation of the country in all spheres of human excellence, education must also kindle in them great sympathy for their poor and the underprivileged brethren by revealing to them their indebtedness to the masses. All activities of RKMVERI, whether it be the educational focus on the thrust areas, engagement with the local populace or its general outreach programs, are oriented towards bringing this wholesome vision of education into a reality.